The 2013 recipient of the Thermal Hydraulics Technical Achievement Award was given to Dr. Chang Oh, posthumous. Dr. Oh sadly passed away in August of 2013, three months prior to formally receiving the Thermal Hydraulics Divion's most prestigous award. 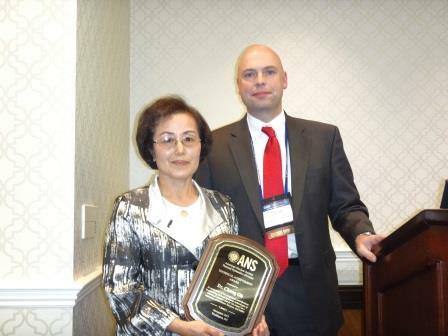 The Technical Achievement Award was presented to Mrs. Dr. Chang Oh during the 2013 American Nuclear Society Winter Conference on his behalf. Dr. Oh's contributions to the field of thermal hydraulics, the American Nuclear Society, as well as those specifically within the Thermal Hydraulics Division were staggering. Dr. Oh was widely recognized and respected by his peers for work performed within the areas of critical heat flux, flow mixing, water chemistry, two-phase flow instability, and countless others. 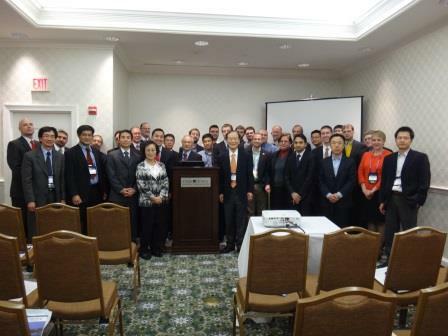 A short article was written and included in the Fall 2013 THD newsletter, acknowledging Dr. Oh and his prominance within the nuclear community, this article may be found at the following link. (article).